Leave your hooks and loops at home. 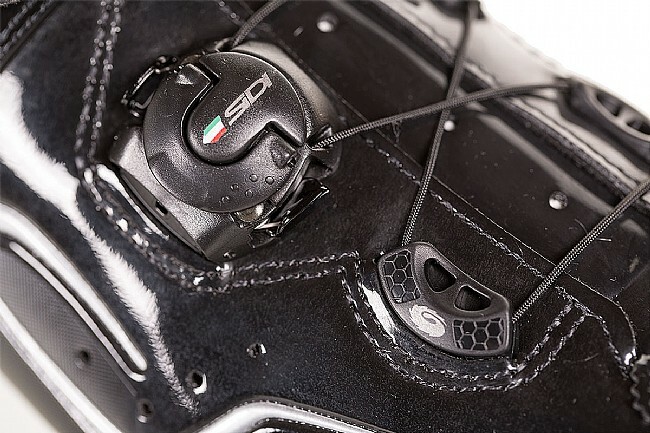 Sidi's Kaos Carbon Road Shoe features a premium Velcro-less closure and a carbon sole to meet the demands of racers and high-level riders. 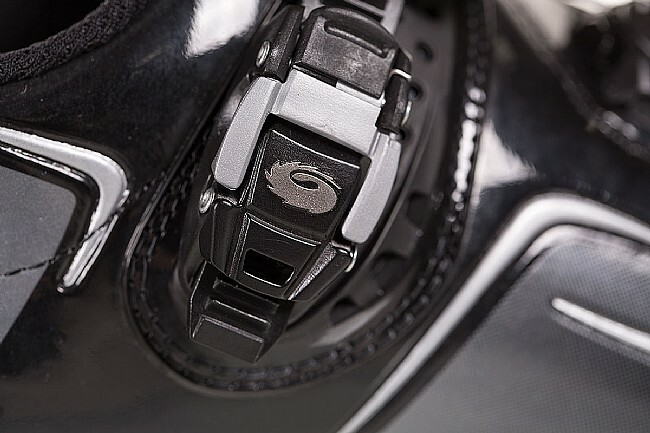 Using a Techno-3 mid-foot dial-adjustment system, the Kaos is tuneable for the perfect fit, and the Caliper Buckle at the top of the foot ratchets down on a Soft Instep 2 anatomically-shaped strap for optimum comfort. 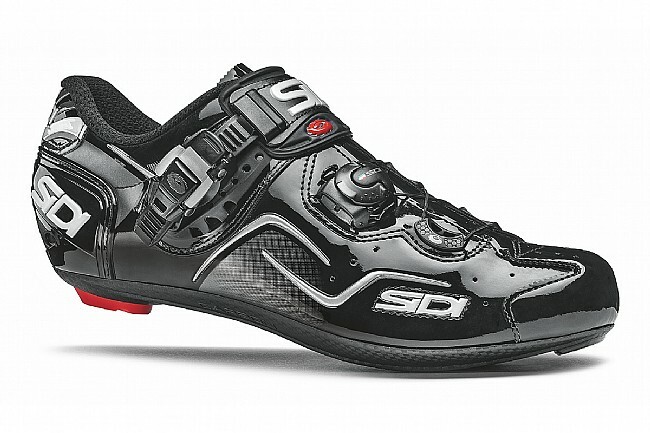 To make sure all your power goes to the pedals, the Millennium 4 sole is made of a stiff carbon / fiberglass composite, and Sidi's reinforced heel cup keeps your foot in the prime pedaling position. Features reflective accents on the heel and a replaceable heel pad for longevity. 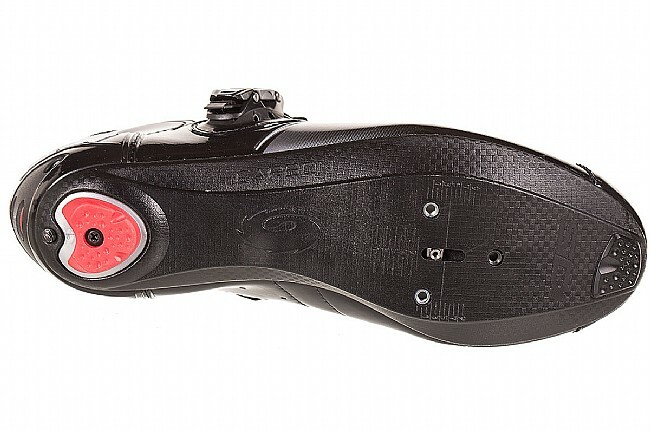 Compatible with standard 3-bolt road cleats, including Look's Memory Cleat system. Ive had these for two months now. 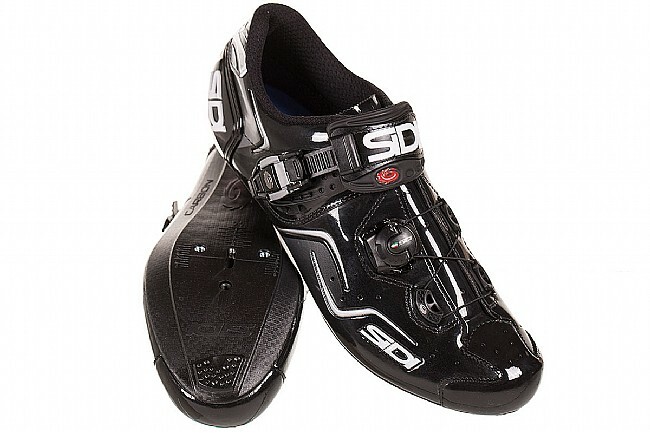 They are very comfortable and fit a little larger than the Sidi Genius. Boa system and ratchet strap combo works well and is at a good price point. Downsides breathability isnt the best and they arent the lightest shoe. I love the wire closure and the ease of fine tune adjustments to the forefoot. The only down side so far is the front of the foot opening is higher and more rigid than my old shoe and it runs on my ankle. I'm sure with time it will soften. This model runs a little bigger than the genius for the same size. I have worn size 46, and still can with the Kaos, but a half size down might have been a better choice.